The Law Office of Foster & Foster, P.C. 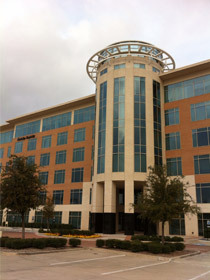 is conveniently located on the Dallas North Tollway just north of Park Blvd. in Plano, Texas. This office location allows for easy access for the firm to the Courts of Dallas, Collin, and Denton Counties. The firm maintains an active law practice in each of these three counties. Foster & Foster is a law firm located in Plano, Texas and practicing in Collin, Dallas, and Denton counties, and throughout the Dallas/Fort Worth Metroplex. We offer legal services in the matters of Insurance Issues and Disputes, Business Disputes and Litigation, Business Law and Transactions, Employment Law, Creditor’s Rights, Debt Collection, Serious Personal Injury, and Probate Litigation.